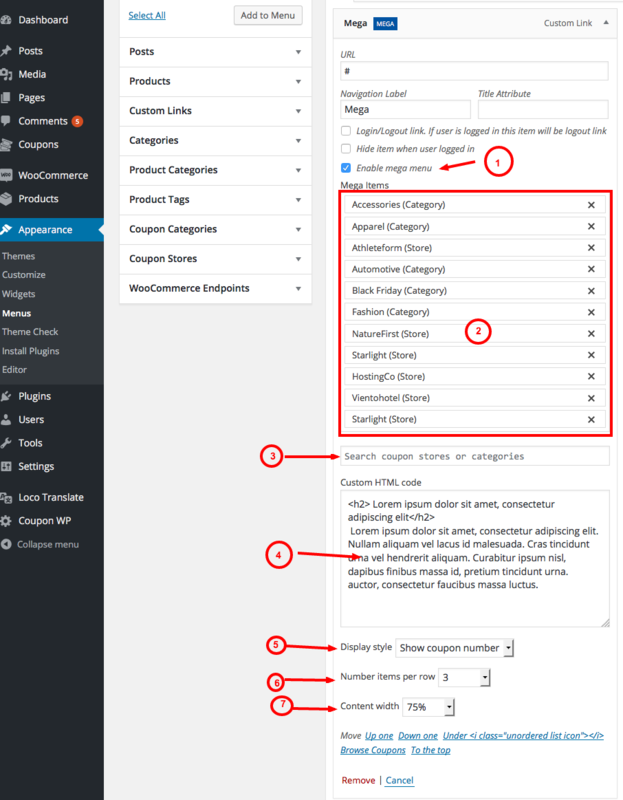 Menu items added ( Categories or stores ). 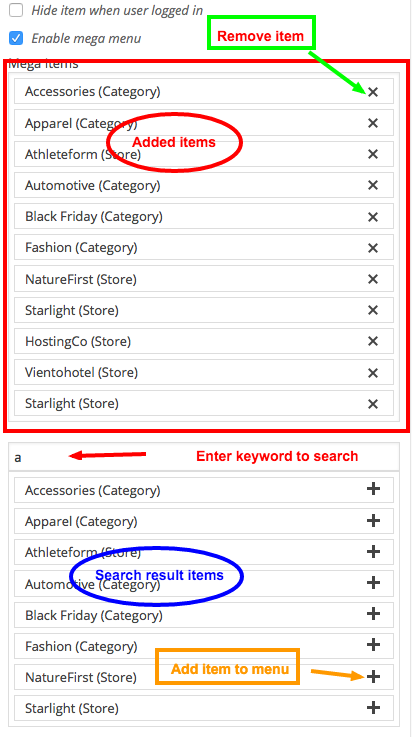 Search stores or categories items to add items. Custom HTML code, this will display before menu items above. Number items per row to display.